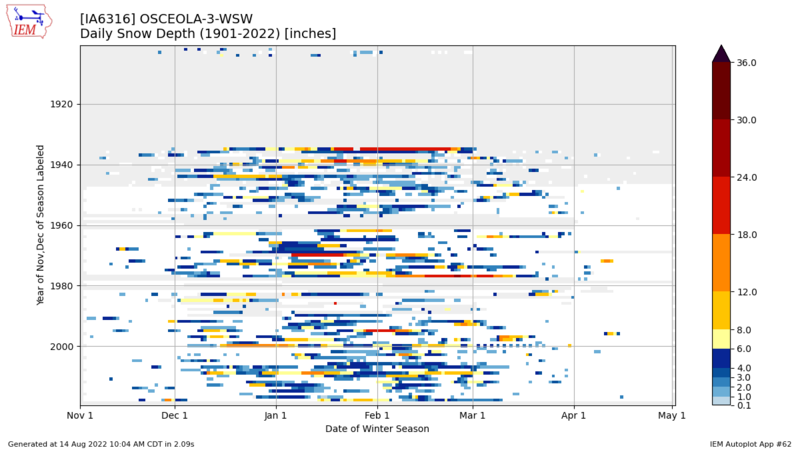 This chart presents the daily snow depth reports as a image. Each box represents an individual day's report with the color denoting the amount. Values in light gray are missing in the database. Based on a sampling of recent timings for this application, plot generation time has averaged 4 seconds. Hold on for the plot is generating now! 07 Dec 2010: A repeat of last winter?